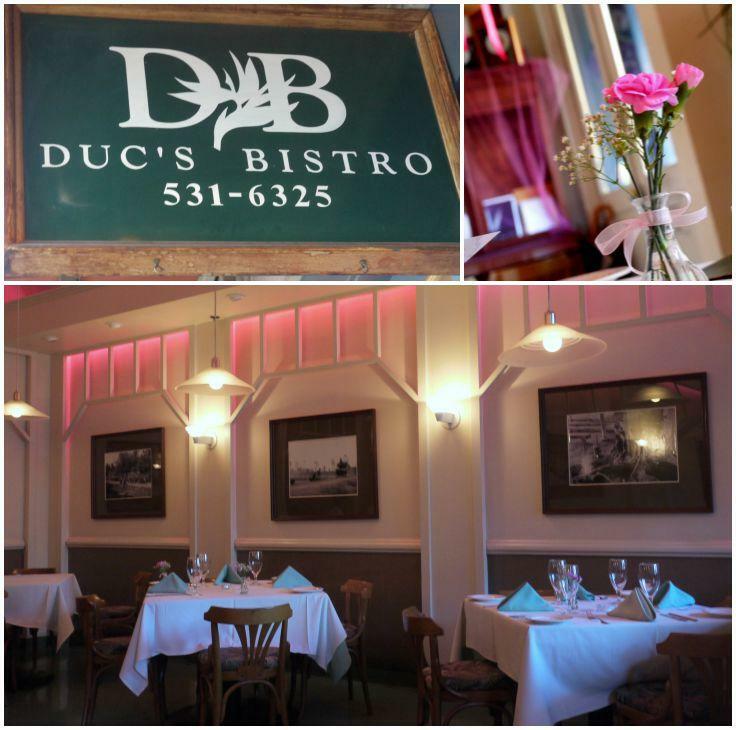 Dining at Duc’s Bistro in Honolulu’s Chinatown is an unforgettable experience in casual elegance, delicious food, and warm hospitality. Thinking about how the paths of individuals cross unknowingly through time and space has always intrigued me. For example, even if you and I have never met, if you live in the Portland area, there is a better than good chance that we have brushed shoulders at one time or another. 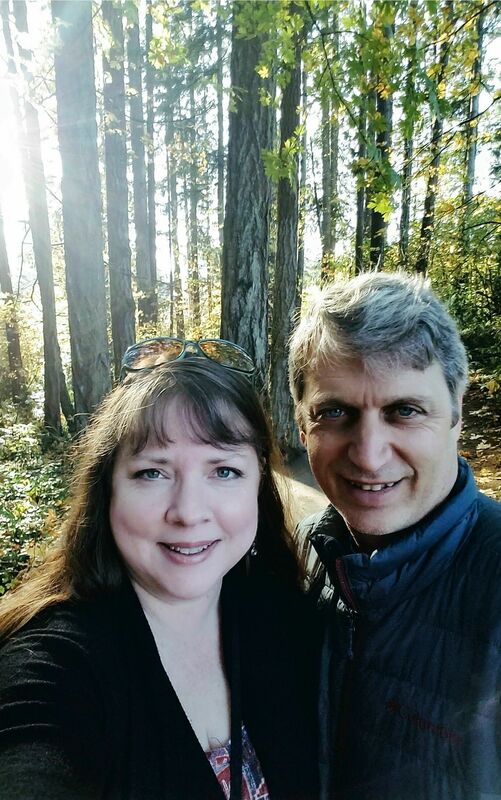 We might have visited Multnomah Falls on the same day, or ridden the same MAX train, or visited the same food cart within minutes of one another. In other words, we have probably been in the same space at the same time at least once. I like to think of it like this: pretend that you are a blue light on a globe that shows your location in real time, and I am a green light. How often would our lights cross one another? The glowing paths left by those little lights moving through time is an interesting image, and one that came to mind this summer when Mr. B and I visited Duc’s Bistro in Honolulu’s Chinatown, because there is an excellent chance that the owner, Duc Nguyen, had a hand in cooking one of the most memorable meals Mr. B and I have ever had – 34 years ago. 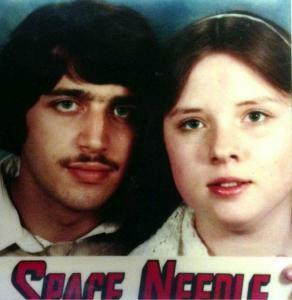 Back in 1981, when Mr. B and I were seventeen and full of big dreams, we scrape together our hard-earned pennies and took a day trip to Seattle over spring break, where we splurged on a dinner at the most elegant place we could think of – the top of the Space Needle. While we watched the city rotate across our field of vision, Duc – then a recent immigrant from Vietnam – was working away in the Space Needle kitchen and dreaming big dreams too. Duc has come a long way from that sky-high kitchen in Seattle. 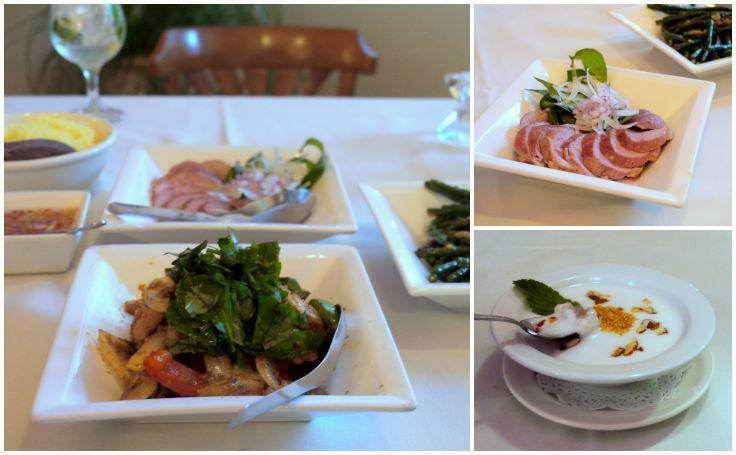 A resident of Hawaii for more than twenty years now, Duc has been carefully creating and serving traditional Vietnamese and classic French cuisine in Honolulu’s Chinatown since 1992. His dedication to providing diners at his restaurant with food of incomparable quality, freshness, and flavor – served with unparalleled hospitality – is renowned among locals and tourist alike. 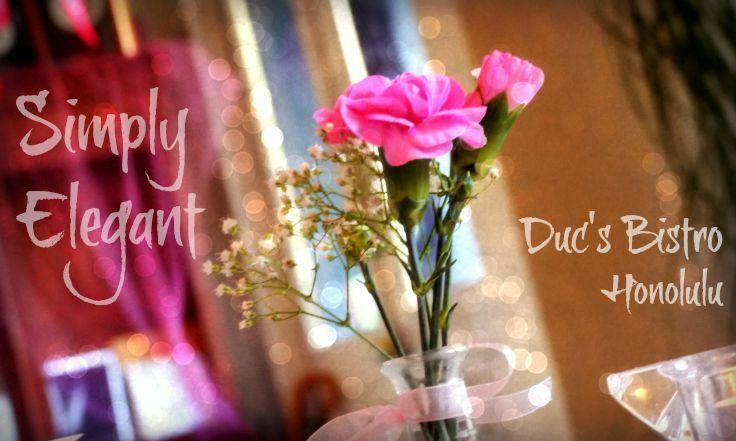 Let’s start with that hospitality, because that is what stands out above all else at Duc’s. Enter the front door, and the atmosphere is clean, modern and inviting, highlighted with tasteful pink ambient lighting and crisp white table clothes. Once seated, you will likely be greeted by Duc himself, who will make you feel so welcome that it is almost as if he has been waiting a very long time to meet you. Likewise, the service at Duc’s was impeccable. Our waiter, Kanoa, was just as warm and friendly as Duc, and – without a note of hyperbole – he was one of the best waiters we have ever experienced: professional, knowledgeable, and completely attuned to our needs. We learned that he started working at Duc’s when he was twelve, and now 27, Kanoa has developed such a finely honed instinct that we never once wanted for anything. He explained each dish carefully and answered our questions completely before we even asked, magically appeared tableside whenever we needed anything, and intuitively knew when to leave us to enjoy our evening. 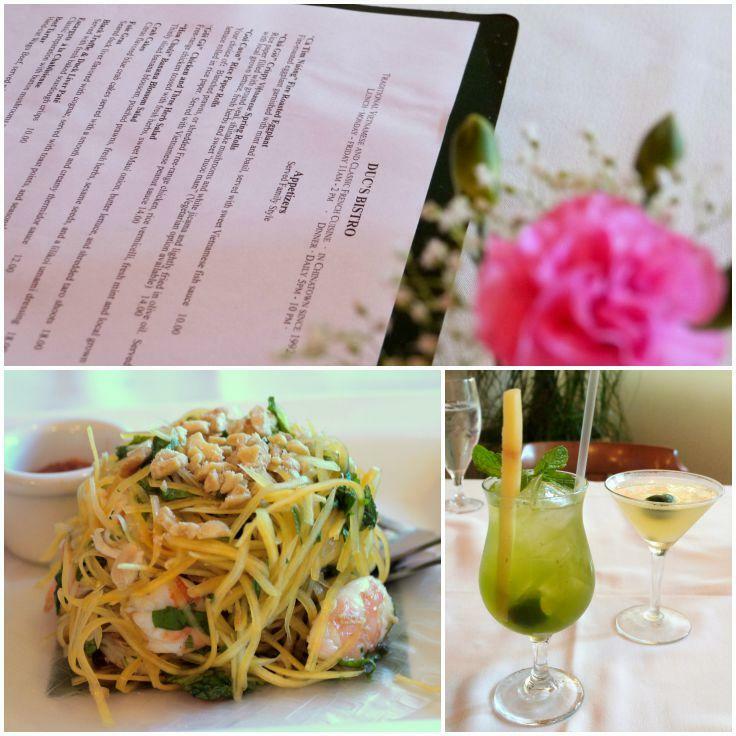 Duc’s menu takes its inspiration and vision from a synthesis of effortlessly beautiful dishes from the cuisine of Vietnam, the fresh ingredients of Hawaii, and the refinement of western methods and presentations. The resultant menu is one of simple elegance. After consulting with Kanoa, we decided to start out with a Baby Papaya and Shrimp Salad, which turned out to be one of my new favorite things ever. Crisp, fresh, and dressed lightly with what I’m pretty sure was nuoc cham (sweet Vietnamese dipping sauce), this was a wonderful start to our meal. Over the course of our dinner, we ordered a few drinks to share as well. The ginger martini was So Good (you remember how much I love ginger, right? ), and Mr. B’s mojito was a refreshingly cool, well-balanced blend of tart and sweet. However, the real standout the “Madame Vu,” a blend of cloves, ginger, sugar cane, pomegranate and pineapple mixed with (your choice of) vodka, rum or gin. We went with vodka, and the unique blend of flavors immediately became a new favorite for both of us. For our main course, we chose Lemon Grass Chicken, Breast of Duck Saigon, and Long Green Beans With Garlic. The chicken, boneless organic thigh strips sautéed with lemongrass, was fresh tasting, mildly spicy, and very satisfying. The market-fresh long beans were well seasoned with just the right amount of garlic to enhance without overpowering their delicate flavors. The duck was a big surprise for me. Duck is not something I usually enjoy: many preparations leave it too greasy, and I find the gamey flavor off-putting, but Mr. B loves it, so we ordered it with the idea that he would have the duck, I would have the chicken, and we would share the beans. However, when I tried a bite of Mr. B’s duck, I tasted no gamey flavor whatsoever, and the meat was tender, succulent, and delicious. Needless to say, Mr. B had to share. We topped off our dinner with Apple Banana Tapioca Pudding topped with coconut cream, and garnished with ground peanuts, sliced almonds, and mint. I loved this delicately creamy dessert so much I came home and created my own version of Banana Tapioca Pudding to preserve the memory in my recipe file. Food is served family-style, and portions are on the small side (relative to today’s super-sized norms) but they are actually exactly the right size for sharing. Prices are on the median for mid-high end dining in Honolulu: our bill, which included an appetizer, two protein-based entrees and one vegetarian entree, three cocktails, an espresso and dessert, came to a little over a hundred dollars before tip, which we both considered very reasonable considering it was our one Big Night Out in Hawaii. Being from Portland, I’m accustomed to finding little dining pearls in the most unassuming places, and have learned that best places are sometimes surrounded by less than desirable neighbors. This is definitely the case with Duc’s, which is tucked between a nail salon and a corner flower vendor on a sketchy-looking street in Chinatown. Do not let the location deter you from a truly wonderful dining experience. Renée is writer, music maker, artist, and storyteller. In her spare time, you can find her writing love songs about cowboys, exploring the moss-covered nooks and crannies of the Pacific Northwest, and making music with her talented singer-husband. You definitely have me sold on Hawaii after all these amazing posts! How lovely to find this little gem. Thanks for sharing it! Wow, that looks like a GREAT place. And such a sweet story of you and your Mister 34 years ago! Did you tell Duc about it when he greeted you? Yes, we did! He even sat down at our table and visited with us for a few minutes! LOVE, love, love the story about the connection! And what a great place. I think one of the things I love about all of the Hawaiian islands is that some of the best places I have eaten have been in really odd locations, or had completely unassuming facades with surprising interior. This looks incredible. Sure do love serendipity Renee! Delightful story and delicious eats! its really really elegant bistro! Hello! We’re so glad you’re here. Join me & Mr B as we explore the best of the Pacific Northwest and beyond - Travel, Food, Music & Good Vibes! • International Food Writers & Travel Writers Assoc. © Renée Butcher and The Good Hearted Woman, 2011-2019. Unauthorized use and/or duplication of this material without express and written permission from this site’s author and/or owner is strictly prohibited. The Good Hearted Woman is a subsidiary of Harmony Cat LLC.